Don’t let their name fool you: as area rock bands go, Chef Menteur is progressive. Like, Bernie Sanders-level progressive. They spell “pyramid” with three y’s. They routinely go on for between 10 and 20 minutes. They diagram geometric shapes on their album sleeves. They call songs “Part II” without ever releasing Part I. And they’ve just released their last two albums as part of a three record set. 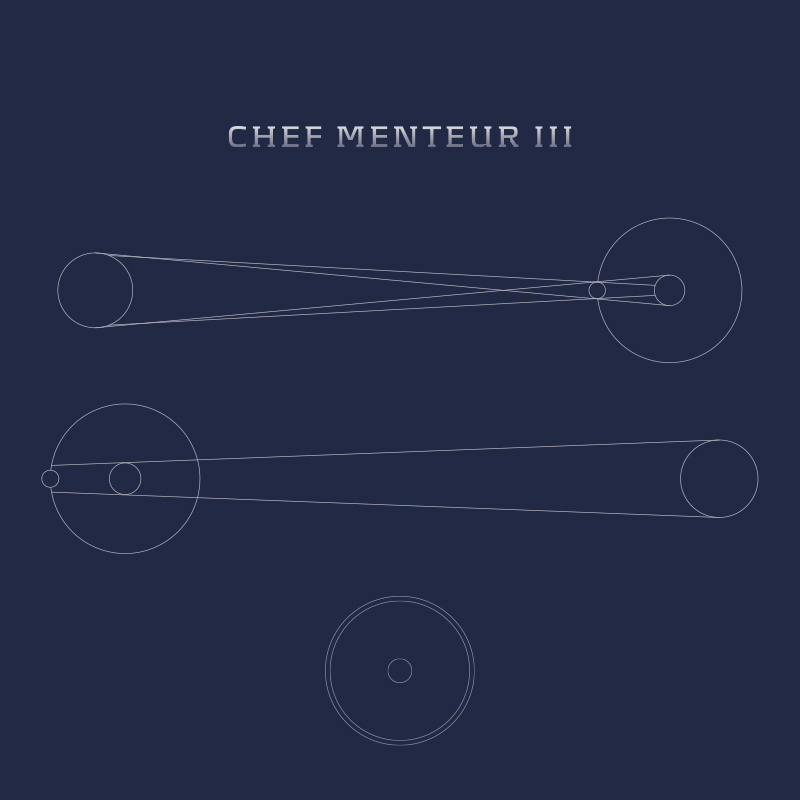 Chef Menteur has been at this since before Katrina, but they’ve lately found themselves stylistically wandering between three generations of prog: they don’t have Pink Floyd’s songcraft, the sheer sonic thrust of later Tool albums, or the frenzied exclamation points that end Godspeed You! Black Emperor’s epics, but in the one place where all those groups intersect—atmosphere—they’re perfect, a sort of alternative post-millennial ambient rock. The secret glue in their sound might be psychedelia, given how much they indulge in Middle Eastern music in the last third and also how the quartet’s longtime keyboardist, Alec Vance, actually uses a cheesy Farfisa to create some of that cosmic slop. Indeed, their shading is so exquisite that a 19-minute epic called “Ganymede” barely stirs. It really feels like you’re slowly passing a celestial body far, far beyond everything. Yet they’re grounded enough to have named one of their most gripping songs “Phallus Marinarus.” The combo bodes well for their future development.